A picture is worth a thousand words. 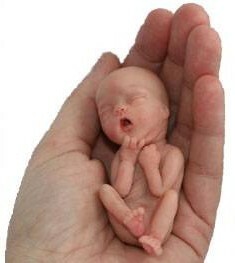 This is an accurate, life-sized model of a baby fetus at 12 weeks of gestation. Generally abortion is legal up to 20 weeks of gestation.